BBC has released the trailer for the upcoming eight-part drama series MotherFatherSon, starring Richard Gere. The show, which marks Gere’s first TV role in almost three decades, revolves around Max (Gere), a charismatic self-made American businessman with media outlets in London and around the world, who must deal with the devastating consequences of his 30-year-old son, Caden (Billy Howle), whose self-destructive lifestyle spirals out of control. The latter, who runs Max’s UK newspaper and is primed to follow in his father’s footsteps as one of the most powerful men in the world, becomes a challenge for both his parents. Max’s wife, Kathryn, who has been estranged from him following the breakdown of their marriage some years before, is played by Helen McCrory. The cast also includes Sarah Lancashire, Sinead Cusack, Paul Ready, Pippa Bennett-Warner, Danny Sapani and Joseph Mawle. 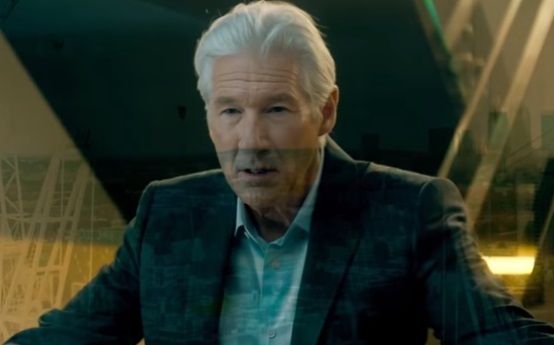 The trailer features Gere’s character being asked if he’s there (in London) to pick a Prime Minister or deal with his son. The latter is seen during a dinner with his mother, telling her that a rival paper are trying to embarrass their family while showing her some pictures. Another scene features Howle’s character falling to the floor while entering an elevator and being taken to the hospital, where a doctor informs Max that his son’s brain suffered significant damage. “Your son can’t be trusted,” Max is warned by another character, who adds that “he’s a threat.” “We are all capable of disloyalty,” Gere’s character, Max, says in voiceover at the end of the trailer, which also informs that the series is “coming soon”. Written and created by Tom Rob Smith, the writer behind “American Crime Story: The Assassination of Gianni Versace,” MotherFatherSon will air on BBC Two this year.